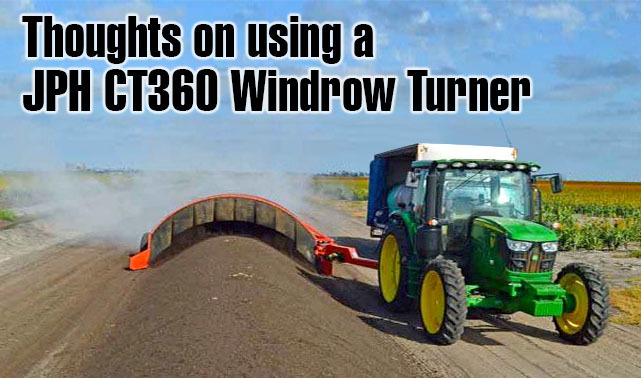 Thoughts on using a JPH CT360 Windrow Turner. My name is Chris Cameron, I currently live in South-East Queensland, and I have been working with Biological Agriculture for over 50 years, working out how best to restore productivity to our ancient and weathered Australian soils. The problem, once understood properly, is not difficult. We lack Organic Matter, many essential minerals have been leached out over the eons, and we lack beneficial soil biology in most areas. About 20 years ago I managed to make the jump from garden scale compost making up to paddock scale, as well-made compost, and what can be blended with it, will quickly reverse most of our problems. My first major work was done with an old end loader, slow and inefficient, but effective in the end. Output with it was very low. 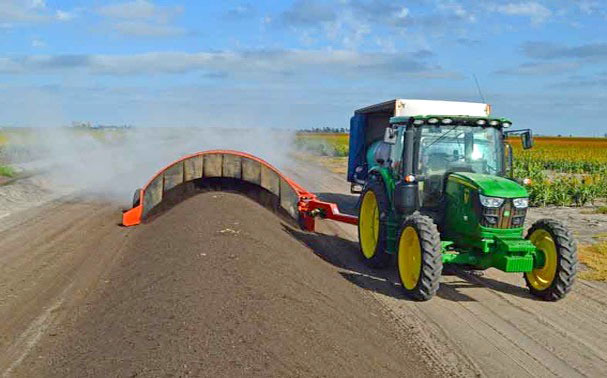 Over the intervening years I have worked with six different Compost Turners of varying types, American, European, Australian Factory built, Australian “home built”, and am currently using a Queensland designed and built JPH CT360, a tractor pulled, PTO driven machine. It is quite different in design to any of the Turners I have used previously, in that it does not have a huge counterweight and hydraulics that allow the turning mechanism to stand upright for transport. Initially I felt this may be a problem if I got “bogged” in a new windrow, but after having run through, effectively, 20K tons of material I have had absolutely no problem. 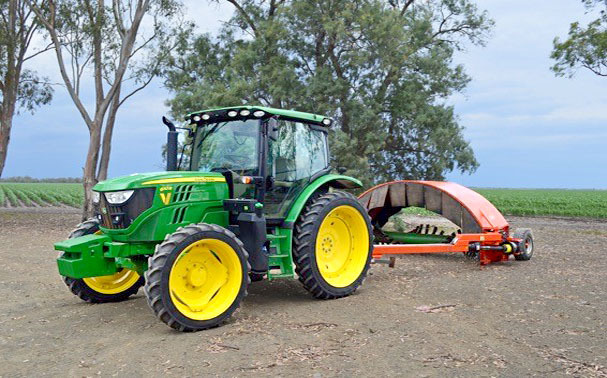 Without the huge counterweight the machine is light and easy to manoeuvre, the way it folds in behind the tractor for transport is quick, easy, and effective. As there is not a huge weight of machine ever up in the air, it is also far safer to work around! With the obvious exception of using a Loader to turn windrows, every Turner I have used in the past has had a habit of throwing heavy bits forward, causing some glass breakages on the towing tractors, and needing special screens to prevent this happening, restricting somewhat the clear view of what is happening behind. The very different “tyne and paddle” design of the JPH machine greatly reduces this and I run safely with no screen and the tractor back window open to give me the most uninterrupted view of what is happening. This is a great development! 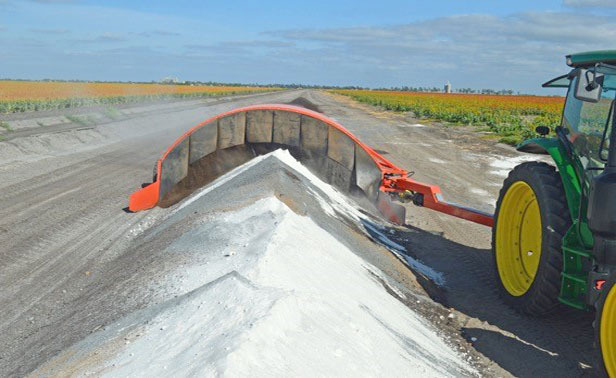 This same drum design and layout, which is so different from the majority of Turners, is extremely efficient in doing the 3 tasks needed of a Turner: complete inversion of the windrow, rapid reduction of particle size, and even incorporation of mineral additives, if these are used. Feedlot manure, my main feedstock, can arrive in huge chunks almost as hard as concrete and these are rapidly reduced to a fine texture. One of the best features of this machine is its extremely low power requirement! The biggest machine I used in North Queensland a monster spanning over 5M needed over 300hp to drive it, and the tractor struggled. I am pulling this JPH CT360, with a small tractor with about 80 PTO hp and its in-cab readout reports I am using barely 30% of available power for a full-sized windrow! This is exceptional! On the service and maintenance side, everything that needs regular service is easy to see, and access. This means that maintenance is not ignored because it is too hard to do regularly. I am delighted with this machine and would have no hesitation in recommending it, or its “brothers”, and plan on using more in the near future. The tractor we are using, a JD6110R. 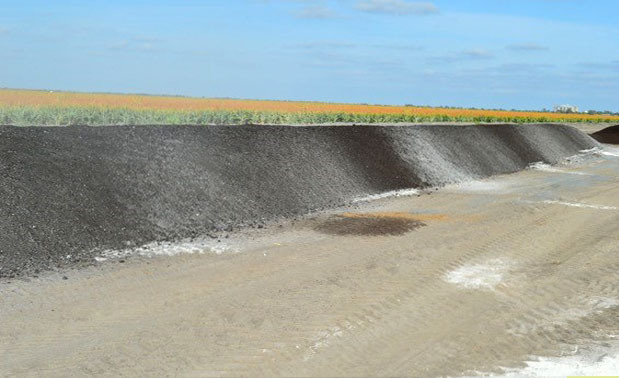 Normal windrow size, full width of machine being used, as the material settles. 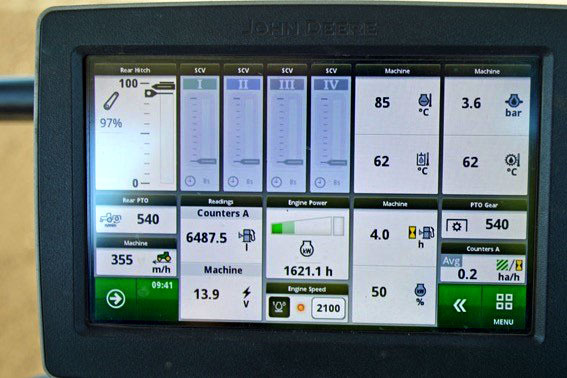 Power usage indicator in tractor cabin. Windrow after one incorporation pass. 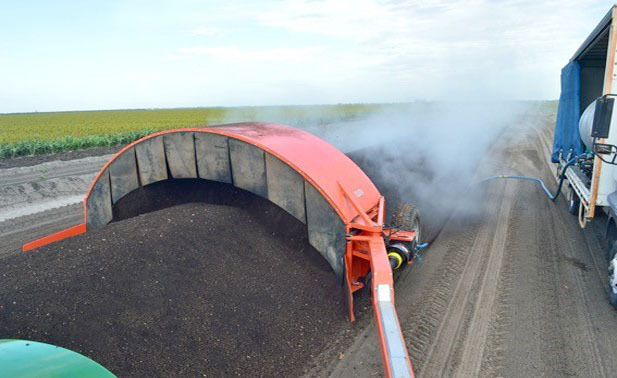 In the area around Robyn’s dairy farm in south east Queensland compost was rarely used in commercial agriculture, especially in dairy and feed lots with high manure surpluses. 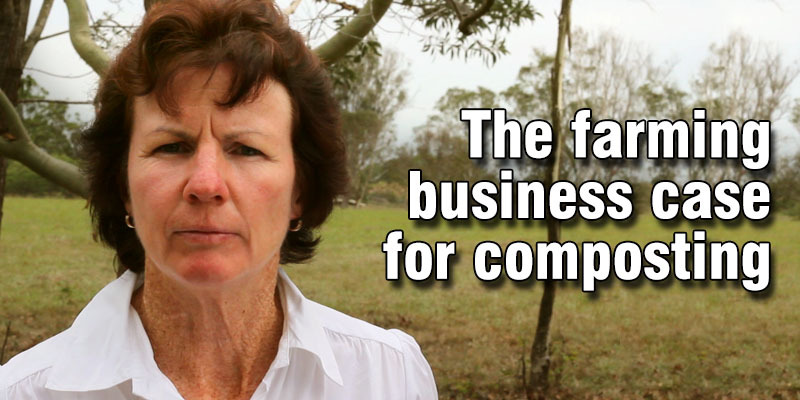 In this video Robyn talks about the challenges and lessons she has learnt about using manure surplus, to increase soil quality and fertility in a sustainable way. She believes that compost is the most effective way of improving soil long term with clearly beneficial effects on soil quality, stock health and farm profitability. Robyn also addresses standard modern Australian agricultural practices such as the heavy use of mineral additives and chemical fertilisers, frequent soil tillage, fast crop rotations, and huge shifts in land and how this has greatly decreased soil organic carbon (SOC) stocks, leading to bio diversity loss, faster soil erosion, and pollution of groundwater and air. Robyn is a vocal advocate of the importance of composting is an tool having witnessed first hand how healthy soil creates healthy plants, which creates healthy plants, stock and humans. The benefits of compost are clear including: improving drainage and nutrient availability in clay soils, improving water and nutrient holding capacity of sandy soils, helping neutralise pH of both acidic and alkaline soils and lastly that many toxins are broken down in the composting process, while others such as heavy metals in city soils become locked up and less available to plants when compost is added. This is the story of the real journey of compost discovery, the effects and benefits and watching the farm and it’s live stock and the herds milk and health change over the years. Seeing with her own eye that the cattle preferred to graze in the paddocks that had been treated with compost and would walk past other grass to do so. 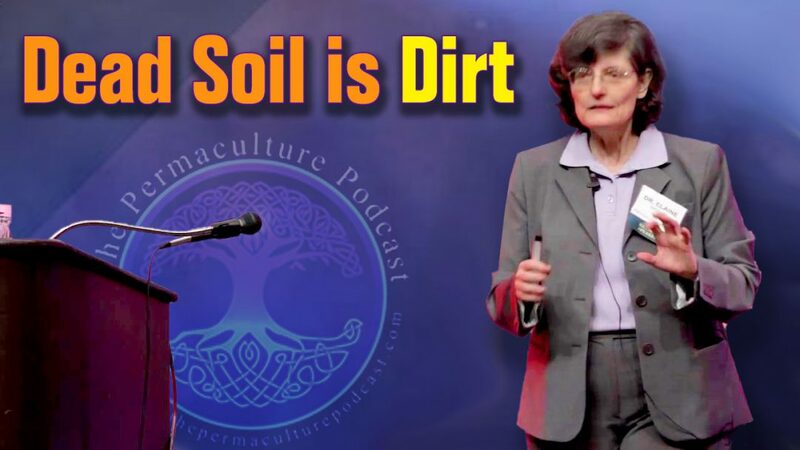 The permaculture podcast interview Dr. Elaine Ingham, microbiologist and soil researcher. Click here to listen or download the episode. During this conversation, Host David Bilbrey and Elaine explore the concepts of soil microbiology, talking about how just below your earth surface the soil is brimming with life — moles, insects, worms and billions of microorganisms all living within the soil. When we think about plants we only see the growth above ground, bursting with leaves, flowers and fruits, however just below the earth’s surface the root growth is just as significant and profound. Dr. Elaine stresses the importance of this life on the health of our plants and agricultural system, how using compost to increase the number of beneficial organisms living within your soil can make a huge difference to your soil quality, and the power of a microscope to bring all these ideas together, right in front of our eyes. The toxic chemicals in large scale agriculture practice is KILLING the insects, and microbes, and this eliminating or drastically reducing or sometimes even adding species to the mix can put the whole food chain out of whack..
Dr. Ingham, stresses the importance of healthy, living soil for human wellbeing. Her theory is that “Conventional” agriculture is all about trying to get people to buy inorganic fertilizers, pesticides and minerals that inadvertently kill of the beneficial life (both flora and fauna) in the soil, so they are never able to do the jobs that nature intended them to do. Of course, this keeps growers “addicted” to buying more, and more, and more of those chemicals from the big chemical companies. 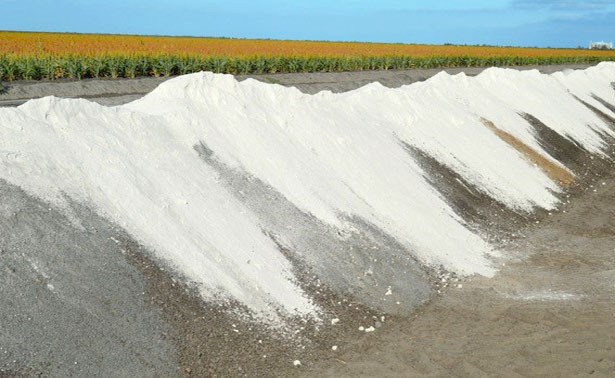 Excessive use of chemical fertilisers poses a real danger to the soil sucking the water out of the microbes that live within the soil. 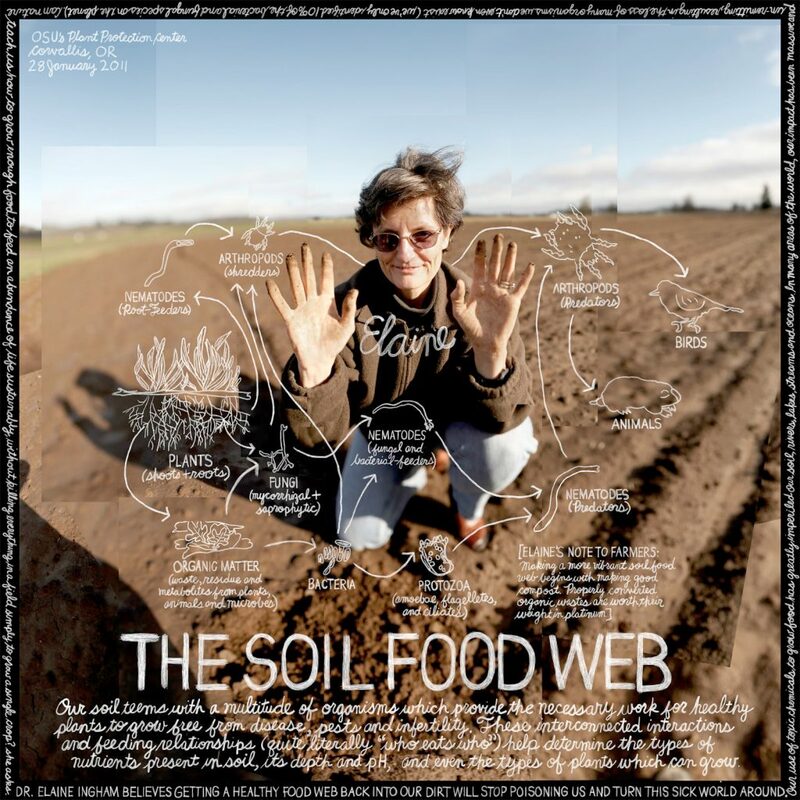 To find out more about Dr. Elaine Ingham, and her work on soil microbiology at soilfoodweb.com and on her classes and other work with Environment Celebration Institute at environmentcelebration.com.